Farm oversight activity does not deliver value for money for the taxpayer and continues to burden compliant farmers unnecessarily. "If English farmers are not to be disadvantaged in supplying our food sector, inspections must be proportionate and with minimum burden on the farmer. "That is not happening at present. Oversight bodies miss opportunities to coordinate activity and share intelligence. They also do not take enough account of most farmers' commitment to good practice which would allow the bodies to reduce redundant activity and unnecessary cost. "The Department has made some progress in exploring how to streamline farm oversight. However, the net result reflects a gradualist approach. Streamlining needs to be driven with a sense of urgency to overcome the individual bodies’ conservatism in a way that is proportionate to the risks." The NAO has reported that the fragmented nature of farm oversight does not optimise value for money for the taxpayer and continues to burden compliant farmers unnecessarily. The bodies inspecting farms often collect the same information separately and there is only limited sharing of intelligence which would help with the better targeting of resources. Today’s report concerns the progress the Government is making in streamlining the oversight of farms in England and reducing unnecessary burdens on farmers. The cost to a farm of complying with regulations is on average around a tenth of its net profit. 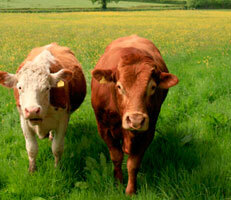 The NAO estimates that, during 2011-12, nine separate government bodies made at least 114,000 visits to English farms. More than half of these were to carry out disease surveillance and testing (at a cost of £28 million) and 30 per cent to check for farmers’ compliance (at a cost of £19 million). The total cost of this frontline oversight activity in 2011-12 was £47 million. Today’s report concludes that the Department for the Environment and Rural Affairs has made some progress in following up the recommendations of the Farming Regulation Task Force which was established to advise on reform. The Task Force has called for a new approach to the culture of regulation. But farmers consider the rate of improvement continues to be slow. Eighty-four per cent of farmers surveyed by the NAO believe oversight bodies should co-ordinate their activity more. According to the NAO, the Department’s current approach to reform will not deliver the scale of change expected by the sector, and contrasts with the progress made in Scotland where oversight bodies have come together to identify redundant activity and cut one in six farm visits. The Department has not collected sufficient data to understand the scale, nature, and effectiveness of English farm oversight activity. It does not routinely collect or analyse data on the overall number and pattern of farm visits, or on levels of compliance across all regulatory regimes. The NAO recommends the Department review the present arrangements for leading and co-ordinating farm oversight so it can provide greater direction and focus. In addition, it should explore how alternatives to physical inspections might be more widely adopted as a way of improving compliance.